Research highlight 2013 of FOM programme 139: The missing universe: what is the subatomic constituent of dark matter? The programme researchers want to unravel the composition of dark matter. The existence of dark matter emerges, for example, from the observed motion of stars in galaxies. These motions are dependent on the mass in the galaxy. Observations reveal that galaxies contain far more mass than we can actually see: at least 85% of the universe's mass consists of this dark matter. Which particles make up dark matter is not yet known. The characteristics observed up until now demonstrate that it is not a particle from the standard model. Various experiments are searching for characteristics of dark matter particles worldwide. The Nikhef group is involved in the XENON experiment. This experiment consists of a vessel filled with liquid xenon. Sensitive light sensors in the vessel will detect when dark matter particles collide with xenon nuclei. Once detected, the detector will allow the XENON-researchers to study, for example, the mass of dark matter particles and their probability of interacting with ordinary particles. These characteristics will be critical to determine which dark matter particle theory is correct. During the past two years, four experiments have found controversial indications that dark matter consists of far less heavy particles than those predicted by the favoured theory. With the XENON100 experiment, however, the Nikhef researchers have demonstrated that these light dark matter particles cannot exist. The four experimental results were probably influenced by radioactive contamination. The XENON collaboration is now working on the construction of an experiment thirty times bigger, called XENON1T. The XENON1T measurements will start in the underground laboratory at Gran Sasso (Italy) in 2015. Due to the large quantity of very pure xenon (3.5 tonnes) and an even better suppression of radioactivity this experiment will be about one hundred times more sensitive than the current world leader, the LUX experiment in de United States. The Nikhef researchers are working on a digital filter that will make it possible to improve the sensitivity for very light dark matter. The R&D setup XAMS, currently being built at Nikhef, offers the possibility to better determine the physical characteristics of xenon and to develop new detector techniques. Researchers recently managed to liquefy xenon in the experimental setup for the first time and to get it under control (see also the short film about this experiment). 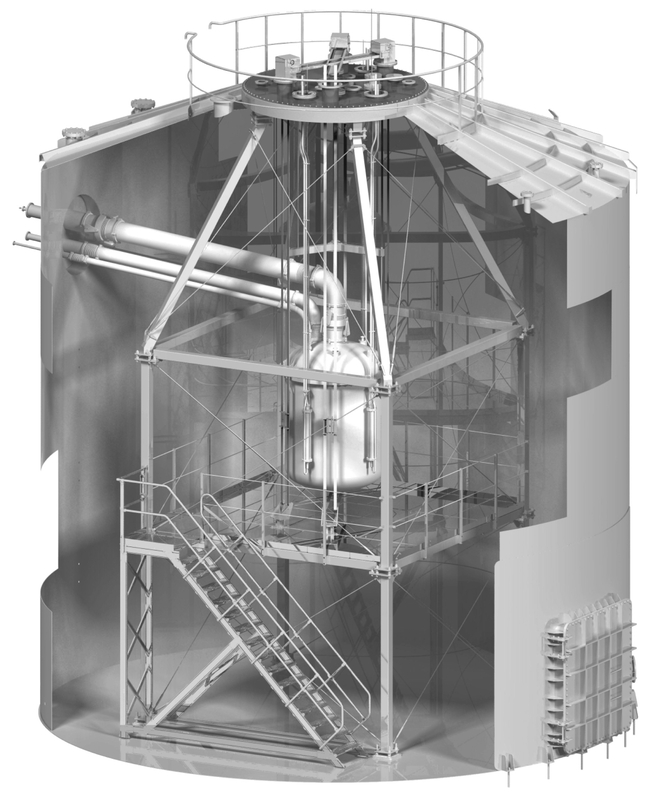 An illustration of the XENON1T experiment currently under construction in the underground laboratory LNGS in Italy. An impressive 3.5 tonnes of liquid xenon is contained in a cryostat in the middle of the figure. Light sensors search for collisions between dark matter particles and the xenon nuclei. The cryostat hangs in the middle of a water tank with a diameter of ten metres, which provides shielding from natural radioactivity. The experiment will start in 2015 and will perform measurements for a period of at least three years.